This is the $64,000 question after all, isn’t it? We get this question from most every person we talk to. And while there are many variables that determine the success of a direct marketing campaign (list, offer, mail piece, etc. ), let’s focus simply on the nuts and bolts of gathering response data and proving that your campaign works. With a well designed direct mail campaign, as opposed to most any other form of advertising, you are blessed that you have a truly accountable means of tracking results by building in a coupon or other response device that must be redeemed in order to get the offer presented. But we have seen cases where our client’s staff is not disciplined in collecting these coupons… “oh the customer forgot their coupon but we still gave them the special deal”. With this lack of a disciplined coupon collection system it is impossible to get real response data to prove how well the campaign works. But now there is a better way: 1-800 # call tracking. If you are not already familiar with Who’s Calling? (www.whoscalling.com) then you need to pay attention. Their technology is remarkable and really the Holy Grail in terms of tracking and measuring the real effectiveness of a direct marketing campaign. Disclaimer: We make no money from Who’s Calling. We’re not a dealer or a reseller of their service. We’re a customer of theirs. And we are so excited about what they do, that we have an uncontrollable urge to tell everyone we know about how great their technology is. It’s perfect for marketing data geeks like us (and you). You get a unique 800# assigned just to your specific direct marketing campaign. That 800# only exists on the direct mail piece you send out. The 800# is redirected to your local number. You get a report every morning of every call that came in off of that direct mail piece. Imagine that… a direct mail campaign that is 100% accountable for results! Response Analytics Nirvana, baby! You also get the phone numbers of everyone that called along with the time, date and length of call. Wow! On approx. 50% of the calls you get the name and address of the caller (your caller ID blocking is ignored when you call an 800# since the other guy pays for the calls). Double Wow! You can get a recording of every phone call that came in from the mailer. Great tool for training your staff that handles inbound calls. Triple Wow! In your daily report you get a listing of all calls that were dropped (i.e. line dropped, customer hung up during ring, customer hung up within a few seconds of answering, etc.) so you can call these interested prospects back. And, for all dropped calls, you can get an email triggered instantly after the dropped call occurred so you can call the customer back pronto. Often as quick as 60 seconds after the dropped call. You can visit their website and see history on all calls for your campaign. In their website you can key in your total investment and then see a real time report showing actual “cost per call”… the real deal apples-to-apples way of comparing multiple marketing strategies. Who’s Calling supplements their reporting with census data demographics (i.e. age, income, ethnicity, etc.) for every zip code that responds to your campaign. Can you tell that I like this stuff? Hopefully you do too. We can truly judge the effectiveness of your direct marketing campaign. You know precisely how many responses your direct mail campaign is generating. No more depending on undisciplined or untrained staff members to tabulate “how did you hear about us?” responses. The response analysis is “pure” and not tainted by the closing skills of your sales people. 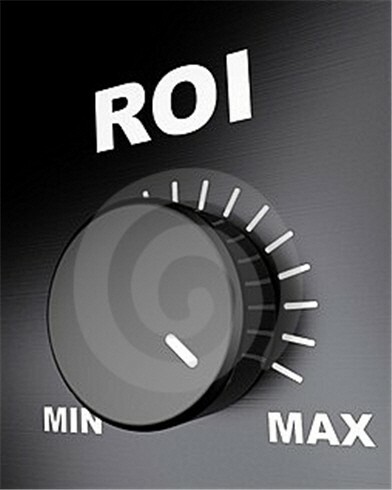 Marketing programs need to be judged on how much response they create… inbound phone traffic. At the head honcho board meeting the VP of Marketing finally has a great answer to tell his challenging and combative CFO when he asks “So Dave, you spent $50,000 on this campaign, what did it get you?” Now Dave doesn’t shrug his shoulders… now Dave has a great answer. Dave can quantify precisely all inbound leads (ideally highly qualified) he generated for the sales team to engage with and sell. And now the monkey is on the back of the VP of Sales to address how well his team is closing these deals. Speaking for all of the marketing nerds at Trigger Direct, we really dig this technology. It gives us a platform to showcase the response we are offering our clients. And it allows us to test all elements of a direct marketing campaign (list, offer, copy, creative) to determine that the magic formula is for getting excellent results. Performance monitored is performance improved. We highly encourage you to consider Who’s Calling technology for all of your advertising vehicles (TV, radio, newspaper, direct mail, etc.) so you can understand which marketing strategy is working best. No more guessing. No more hunches about what works. Real data. Real business decisions.